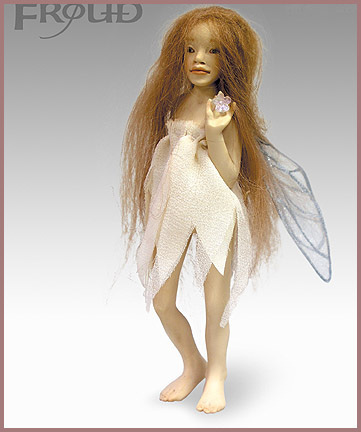 Renowned artist Brian Froud and famed doll maker Wendy Froud bring to light a place that is often hidden to the mortal eye, the Realm of the Faery. 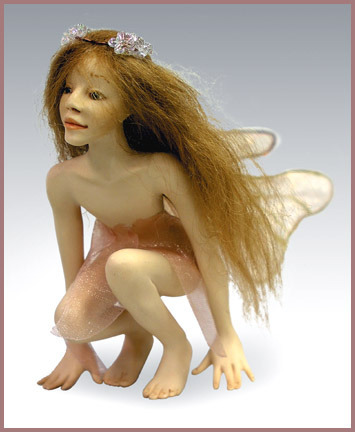 Brian's detailed images capture the feeling of their world and Wendy's sculptures allow us a three dimensional glimpse of the expressive faces and mischievous natures of these Faery folks. Together their work conveys the beauty and wonder of the magical, illusive creatures that inhabit the gardens, forests and twilight. Faeries of the Forest make their homes where good trees grow and pleasant breezes blow about the boughs. They often take the form of the glimmering lights floating slowly among the branches to help lead people back to the safe path when lost. They are Woodland guardians who watch over the creatures living in the wild places on the land, though even the smallest city park may have a faery or two keeping an eye on it. Faeries of the Twilight are great singers, for it is their sweet voices that wake the stars at dusk and call the moon back into her orb after her long day's rest. The whole wide night is their bower yet they are hard to see in the dark. But on nights when the moon's light spills over the world, look for them by your window. It is there by the warm glass that they love to rest before dawn and lay a blessing on the sleep of all good people. 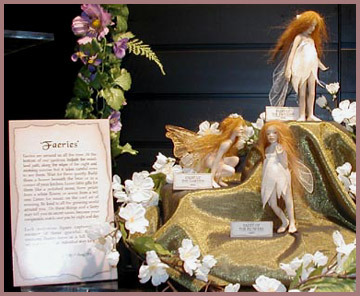 Faeries of the Flowers are very common and can be found any place people delight in turning over the soil in their hands, working to make flowers grow. Seek them under briars, or in the quiet shade below the bushes. In the first light of morning they leap from bloom to bloom and where ever their small feet touch the petals, the plants become tall and filled with fragrance. At night, if you are very quiet, you may hear them singing all the plants to sleep within their beds. 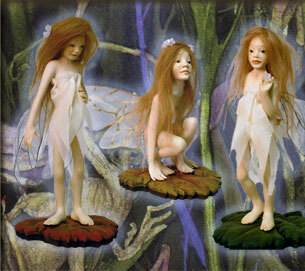 Each package of three fairies weight approximately 3-4 pounds and fairies sizes range from 5 to 6 inches in height. Each is individually boxed.